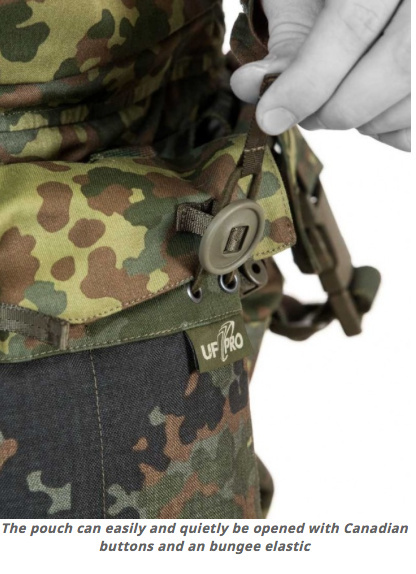 UF PRO Stealth Front Pouch (GreenZone). 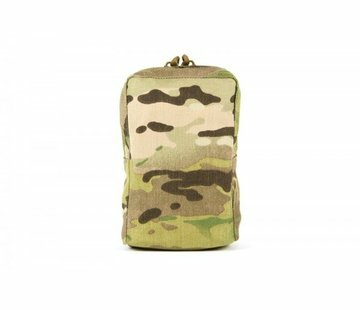 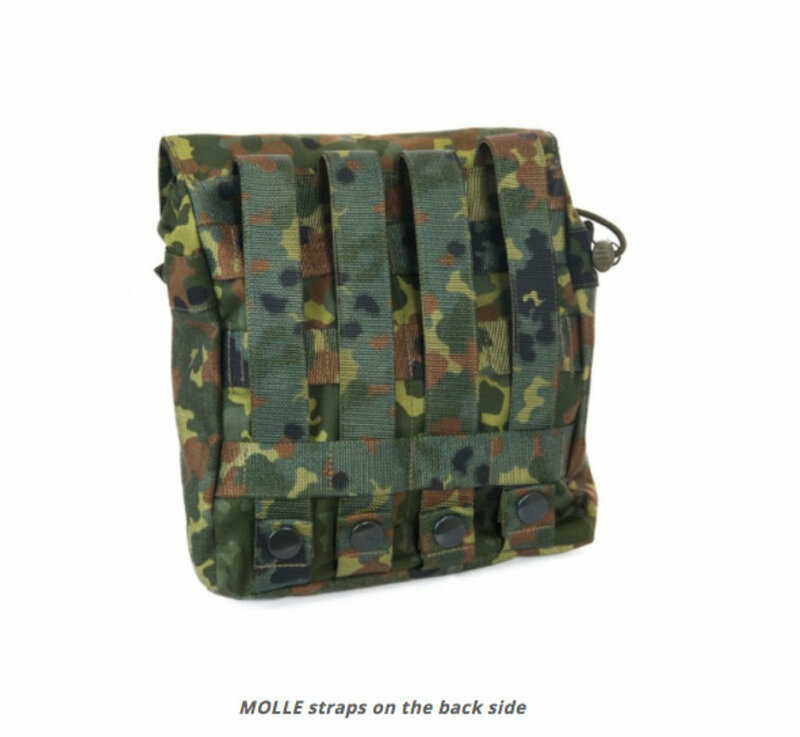 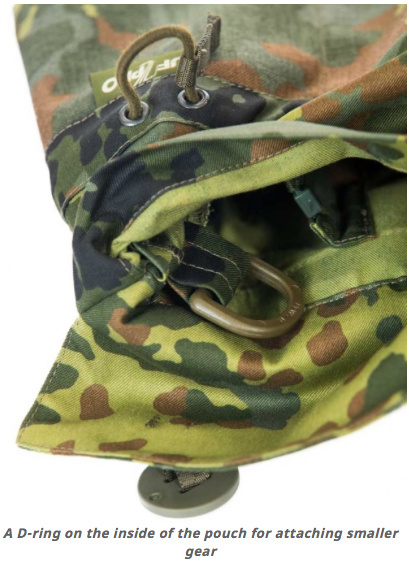 The Stealth Front Pouch can be attached to our Striker Stealth Smock or any other MOLLE compatible gear. 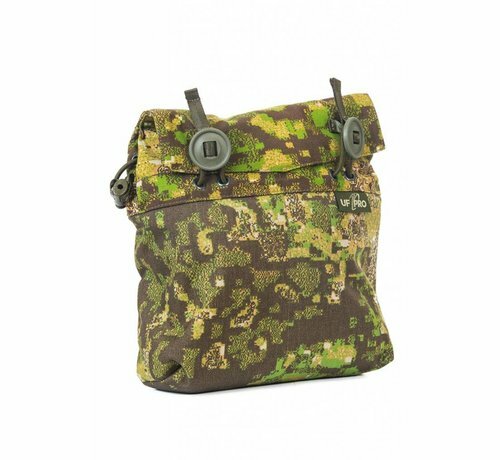 The lower part of the pouch is made out of an abrasion resistant Cordura® material, which makes it extra robust and durable. Depending on what you want to carry in the pouch you can divide the main compartment into two compartments with an inner zipper. 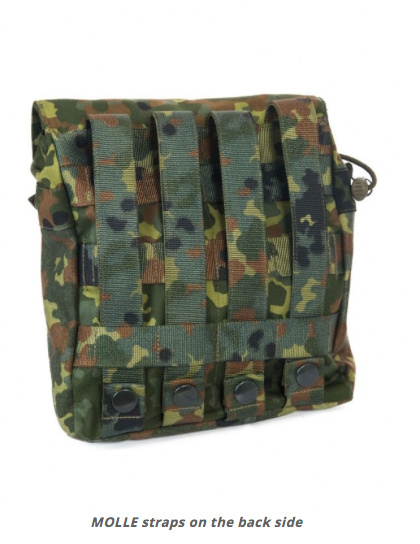 For bulkier gear you can leave the compartment unseparated, but if you want to stow away for instance four M4 mags, you can simply separate the main compartment into two smaller ones. 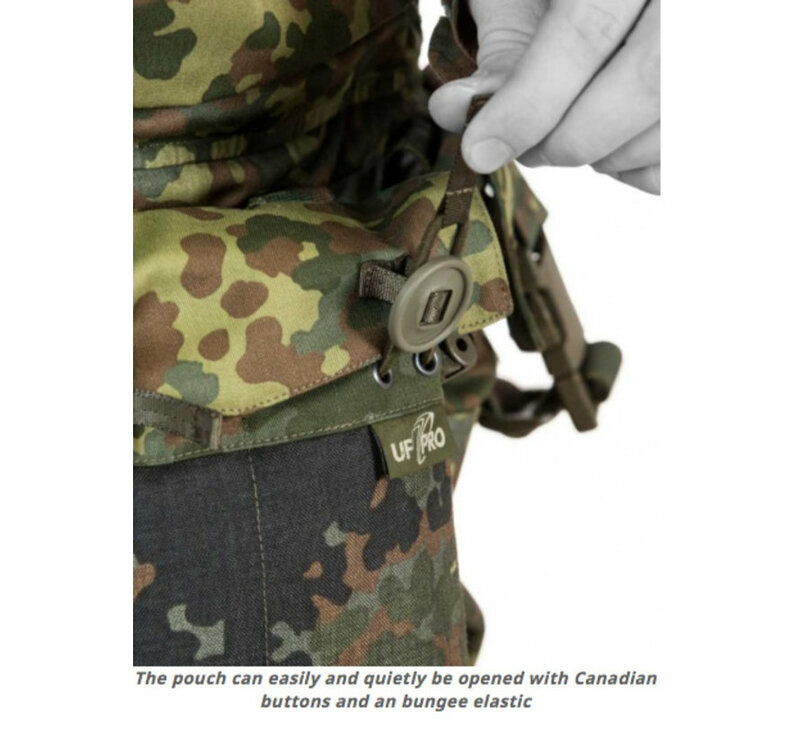 The pouch can be opened silently with two Canadian buttons and a bungee elastic. 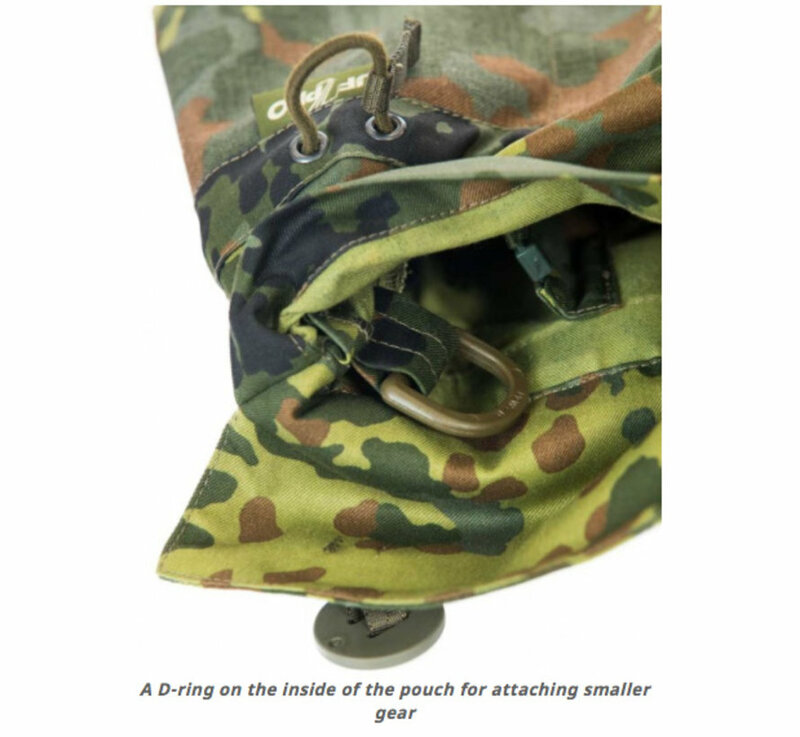 The bungee elastic can also be regulated with an adjuster, which allows you to regulate the width of the pouch. 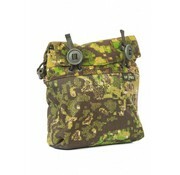 Elastic straps and a D-ring are attached on the inside of the pouch for securing smaller gear. 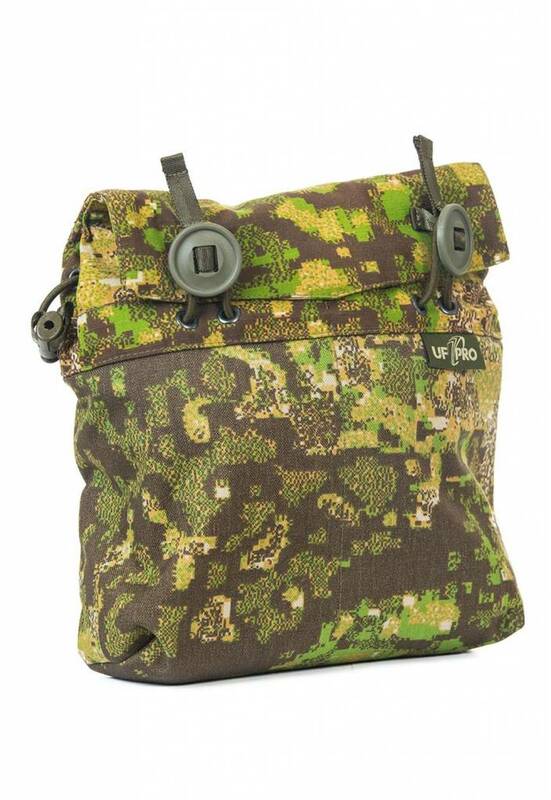 A drainage hole on the bottom of the pouch makes sure that in case the pouch gets wet, the water can escape.